Aspirin can help prevent heart attack in some people. But it’s definitely not something that everyone should take. 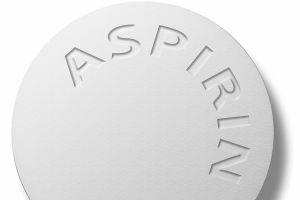 If you’re healthy, taking a daily Aspirin to prevent heart attack may actually put you at risk of unnecessary bleeding Aspirin (the trade name for acetylsalicylic acid or ASA) targets platelets. When you cut yourself, platelets are the tiny cells that band together to clot and stop the bleeding. Too many platelets clumping together can form a dangerous blood clot in the arteries. Blood clots can block the vessels that feed the heart and the brain. That’s how heart attack and stroke happen. Aspirin prevents platelets from clumping together and forming clots. The trade-off is that when your blood can’t clot, you’re more susceptible to bleeding. Although the risk of bleeding is low it does exist and it can be anything from a minor nose bleed to a much more serious event like a brain hemorrhage or bleeding ulcer. So, who should take an Aspirin? If you’ve had a heart attack, taking a daily, 81 mg low-dose Aspirin can prevent a second heart attack. Also, people who are at high risk of having a cardiovascular event may benefit. It’s best to talk to your doctor, who will assess your risk and ensure you’re at sufficiently low risk of bleeding before you begin taking Aspirin. What if someone is having a heart attack? If you feel like you’re having a heart attack, call 9-1-1 immediately and, if you’re not allergic, chew either two 81 mg Aspirins or one 325 mg Aspirin. This is the only situation when you should chew Aspirin. If you feel like you’re having a heart attack, you may have a clot in the arteries. 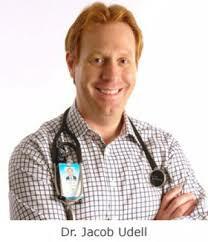 You want to dissolve that clot as quickly as possible and aspirin can help do this. Do you recommend ibuprofen or acetaminophen for heart attack prevention? No. Acetaminophen (Tylenol) doesn’t work on platelets at all. It has no effect on blood clots. Ibuprofen (Advil) makes platelets less sticky. It also blocks pain receptors. But in high, regular doses it can constrict blood vessels, putting you at high risk for heart attack and stroke. However, it may be clinically appropriate for you to be taking ibuprofen or other types of non-steroidal anti-inflammatory drugs (NSAIDs) for short-term pain relief; if you have questions about their safety speak with your doctor. Looking ahead, there are new trials underway to see if we can find new alternative treatments to Aspirin. These trials are studying other methods to block platelets that don’t increase bleeding risk as much. There’s lots of research going on. You’ll be hearing more on that in the next few years. 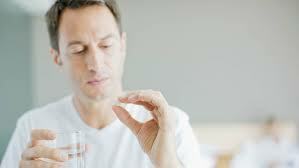 However, these studies are still ongoing and Aspirin is still considered an effective treatment for some people.